For years in this Blog we have shared that our financial system is vulnerable to manipulation, distortion, and attack. This could be accomplished by an all-out cyber assault, the stealthy alteration of trading codes, or outright market attack. Even more frightening is the fact that an EMP weapon could wipe out the electric grid and thus end the United States as we know it. These things are not conjectural. We know that cyber assaults take place every day, many of which are state-sponsored. We know that Russia hid cyber bombs inside the NASDAQ. We know that a Russian banker was attempting to learn the best way to cause a market crash via trading algorithms. We know that there was a plan underway to dump holdings of Fannie Mae and Freddie Mac in 2008 to create economic chaos. 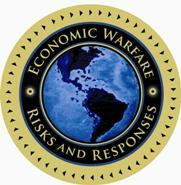 More recently, we have heard that we ARE vulnerable to a cyber 9/11 and a financial Pearl Harbor. We have seen that every system we can imagine has been hacked by Russia, China, Iran, ISIS, and North Korea among others. We have seen the electric grid assaulted in multiple ways. But, the apocalypse has not happened. At worst, these have been pesky reminders of vulnerability rather than Armageddon underway. My concern is that, for the most part, our adversaries have not pushed the button on massive attack so far because they lack capability, but rather because they were previously unprepared for the consequences. Perhaps they feared American retaliation, and that has served as a reasonable deterrent. Or, perhaps, they knew that a world without the American economy would be poorer and entirely dysfunctional. These are reasonable considerations, but should not serve as a permanently reliable comfort. We need to awaken to the fact that our adversaries have rapidly taken a series of steps that appear designed to blunt the economic blowback from a failing American system. For example, the world depends on the U.S. dollar for trade. Yet, the Chinese have stepped up efforts to internationalize the renminbi and are advertising their currency as an alternative reserve currency. Another example is that Western economic infrastructure depends on U.S.-led efforts such as the SWIFT trading system, the World Bank, and the Asian Development Bank. Yet, these are increasingly challenged as well. First, China has created an alternative to SWIFT and it is ready to launch. Russia is likewise near completion of their compatible version as well. This is significant because SWIFT forms the pipes through which international monetary flows occur. By controlling access, the West can dominate the global economy. In a snub to the U.S., Belgium-based SWIFT has actually agreed to increase dealings with Russia, offering a board seat. Next, we have learned that the BRICS nations (Brazil, Russia, India, China, and South Africa) have created an alternative to the World Bank. And, very recently, the Chinese created an Asian development bank and enticed the U.K. to join, much to American chagrin. This happens as the Chinese remove critical American technology from use in their country. Make no mistake, this is the beginning of the end of the US dollar’s global hegemony. It’s time to stop hoping that it won’t happen and time to start preparing for it. If you knew you were going to dethrone the dollar, you would want to position an alternative. If you knew you were going to shut down SWIFT, or at least wrest control from America, you would want something functional in place first. If you were going to replace the World Bank, you would need another institution ready to go. If you were preparing a cyber attack on America, you would want to ban the domestic use of American technology that might make you vulnerable to a cyber counter-strike. The fact that these things are falling in place rapidly is disconcerting to say the least. What’s worse is how once-certain allies are peeled away rather easily. The British sided with China, Belgium-based SWIFT opened their arms to Russia, and even Egypt and Greece has been cozying up with Russia. Like in a chess match, you have to stay several moves ahead of your opponent and watch out for traps. We’ve hit Russia pretty hard, but Russia is still standing and appears as committed as ever to dethroning American economic hegemony. The animosity toward us appears to be greater than even at the height of the Cold War. Are we seeing the endgame moves that will result in checkmate? Hopefully, those responsible in Washington are not gloating over a seeming success only to recognize the trap laid too late to respond. First, educate yourself on these issues. This blog and our books are a starting point. Second, prepare your family and finances by finding educated advisors who are following these events as they unfold with a plan to respond. You can learn more from the NSIC Institute. Finally, understand that to win this economic war, America must value more than money. We must return to the principles and truths from our founding and Constitution. As President Reagan once declared, if we ever cease to be “One Nation Under God,” we will become a nation gone under. For too long we have worshipped money and devalued God. It’s time to return to God and to view money as merely a tool for building a greater nation.